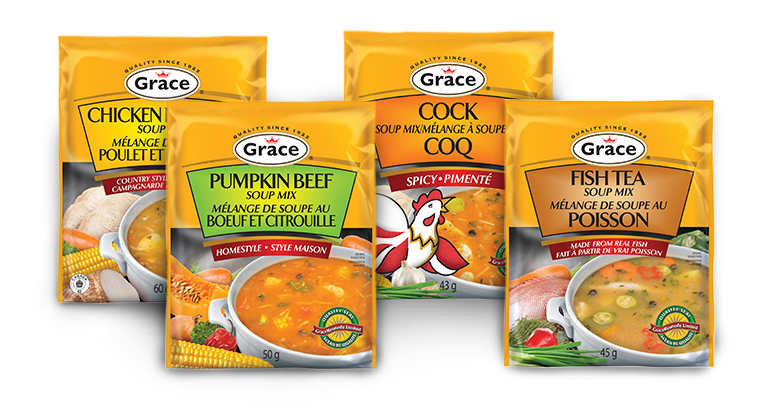 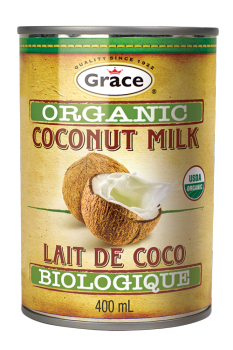 Grace Soups are a quick, delicious and versatile meal option with the goodness of pure homemade taste. 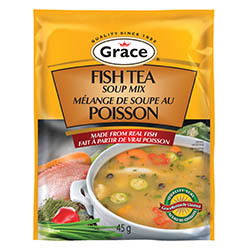 Enjoy your soup piping hot, as a between-meal snack, an appetizer or as a base to your favourite recipes. 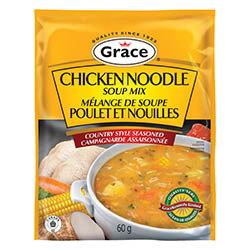 Noodles, (durum wheat flour enriched with niacin, ferrous sulfate, thiamine mononitrate, riboflavin (folic acid), salt, hydrolized soy protein, corn maltodextrin, monosodium glutamate, sugar, chicken fat, autolyzed yeast extract, corn starch, onion powder, dextrose, dehydrated cooked chicken powder, dehydrated parsley, garlic powder, calcium silicate (MFG aid), flavour, spices, caramel, disodium inosinate, and disodim guanylate, artificial flavour. Noodles, (durum wheat flour enriched with niacin, ferrous sulfate, thiamine mononitrate, riboflavin (folic acid), salt, wheat flour, sugar, monosodium glutamate, chicken fat, onion powder, tricalcium phosphate (MFG aid), spices, textured soy protein, dextrose, hydrolyzed corn, soy, wheat protein, dehydrated carrots, guar gum, flavour, dehydrated parsley, garlic powder, disodium inosinate and disodium guanylate, corn starch, cooked chicken powder. 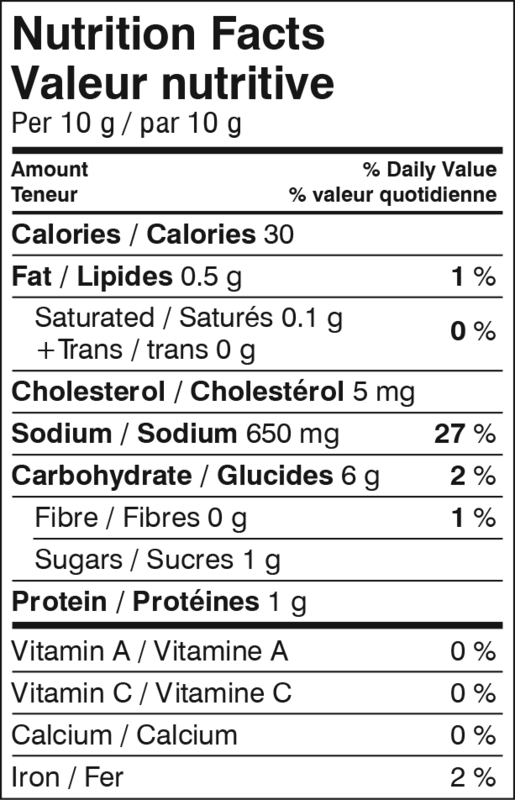 Noodles, (durum wheat flour enriched with niacin, ferrous sulfate, thiamine mononitrate, riboflavin (folic acid), wheat flour, salt, monosodium glutamate, sugar, modified milk ingredients, codfish powder, hydrolized corn soy protein, dextrose, vegetable oil shortening (soybean), tomato powder, autolyzed yeast extract, dehydrated carrots, onion powder, spices, caramel, guar gum, silion dioxide (MFG aid). 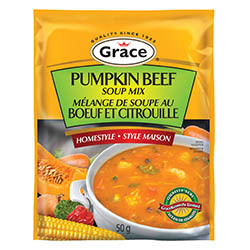 Noodles, (durum wheat flour enriched with niacin, ferrous sulfate, thiamine mononitrate, riboflavin (folic acid), durum wheat flour, sugar, salt, monosodium glutamate, modified corn starch, hydrolyzed corn and soy protein, spices, potato flour (mono and diglycerides, sodium acid pyrophosphate, citric acid), corn maltodextrin, dehydrated onions, pumpkin powder (pumpkin, corn maltodextrin, corn flour, soy lecithin), modified hydrogenated soybean oil (MFG aid), garlic powder, autolyzed yeas extract, carrot powder, flavour, beef fat, caramel, onion powder, disodium inosinate and disodium guanylate.